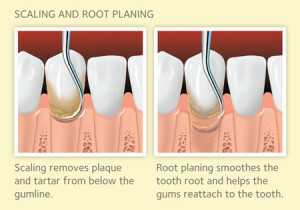 Scaling and Root Planing (SRP) is the process of removing plaque and calculus (tartar) from below the gumline. Otherwise known as a deep cleaning. 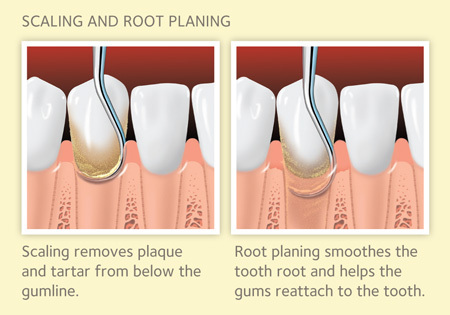 Scaling and Root Planing is sometimes necessary in addition to normal cleanings due to the fact that plaque and bacteria can grow below the gumline and harden into calculus over time. Normal brushing and flossing and normal prophylactic cleaning cannot remove the hardened calculus, so we will elect to do a deeper cleaning. During a normal professional cleaning, we clean just below the gumline and above the gumline. During an SRP therapy session, we will go farther below the gumline to ensure all of the bacteria is removed. 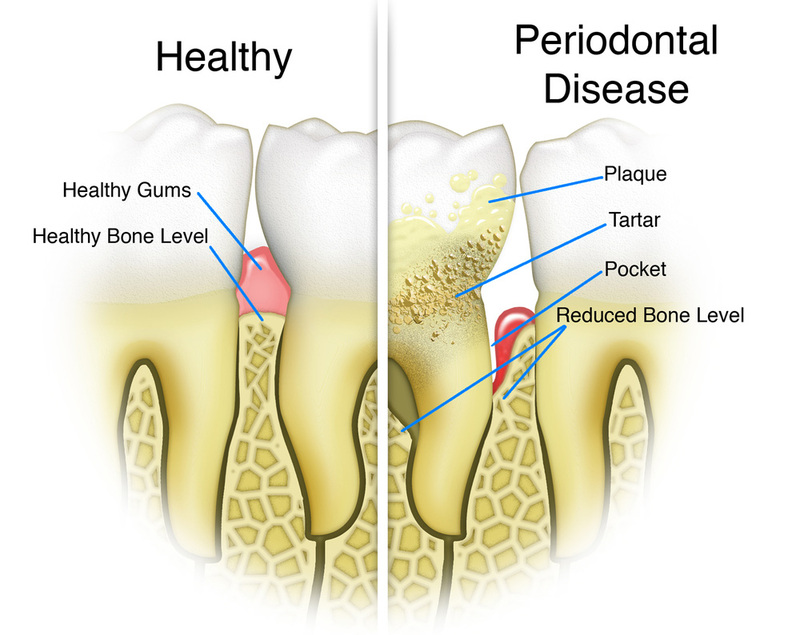 If you notice that your gums bleed when you have them professionally cleaned, that may indicate an infection below the gumline causing the need to have a deeper cleaning. 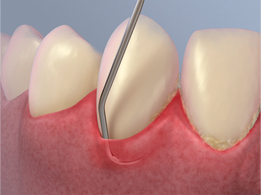 During Scaling and Root Planing therapy, we will numb the area being treated so that you are more comfortable. Normally we do this in 2 appointments. One side of the mouth at a time. We may use additional instruments such as an ultrasonic scaler to remove the calculus and plaque. The process helps to bring your gums back to a healthy state as well as re-attach to the tooth structure. It also removes the bacteria from your oral cavity, helping to keep you healthy overall. 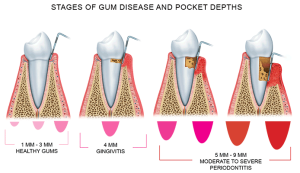 Gum tissue around the tooth should measure somewhere between 1 and 3 millimeters indicating healthy gingiva. 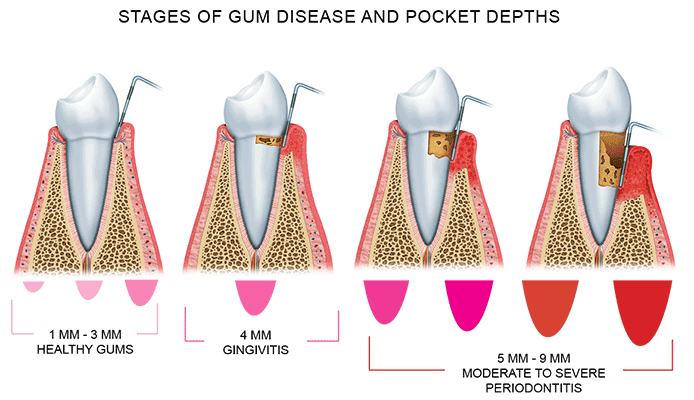 However, when there are 4mm pockets and higher, that can indicate gum disease or even worse, periodontal disease. Having SRP therapy can help you keep your smile and prevent further bone loss.